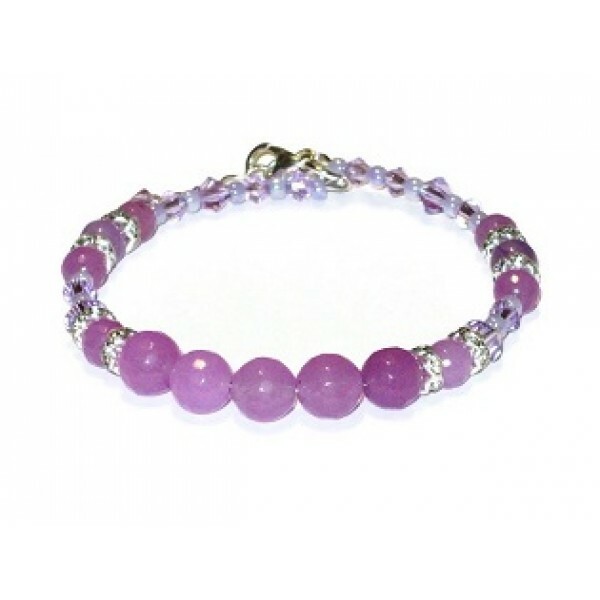 This orchid colored bracelet, which was made with expandable wire contains faceted and smooth jade beads, swarovski crystals and silvertone rhinestones. It has a silver-plated lobster clasp and chain. It can be adjusted from size 7 to 8 inches. This orchid-colored faceted jade ring can make a great addition to your collection. It i..